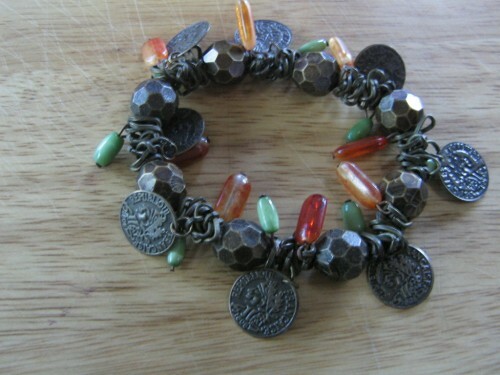 This bracelet has brass coloured coins and links and also 8 brass like balls and several different coloured beads. It is all threaded on an elastic thread. So fits any size.